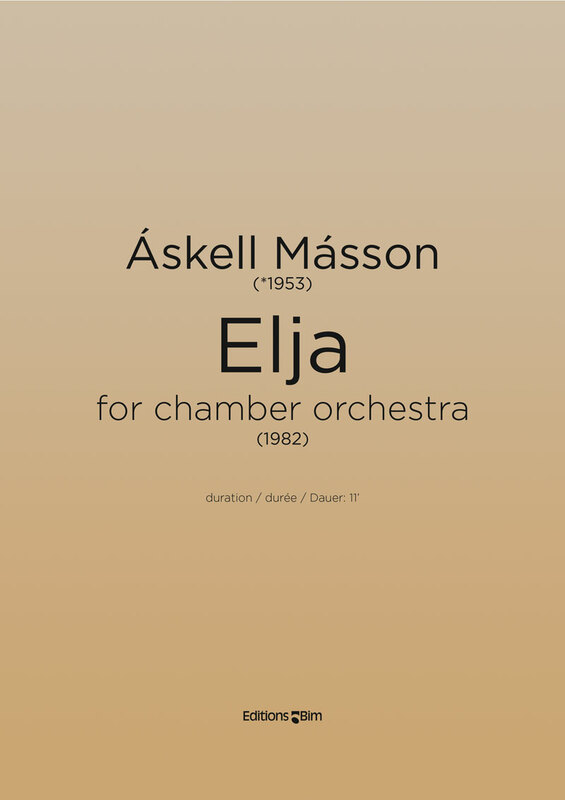 The composing of Elja was commenced in Paris, France and concluded in Reykjavik, Iceland in 1994. The Icelandic title denotes motivated activity. The folk song for the Elja poem is also quoted three times in the work. Elja was commissioned by the Caput Ensemble and premiered at the modern music festival Dark Music Days , in Reykjavík, Iceland, 1995. The piece is a one movement work divided into an energetic introduction, a calm middle section, and a short, tranquil coda. Elja has been heard at various occasions, a.o.t. as an opening work on the Focus! Scandinavia Today Festival, Lincoln Center, New York, at the I.S.C.M. Festival in Copenhagen and at the Gulbenkian Festival in Oporto, Portugal. "this is creaking energy and ravishing Icelandic music", "mirrors the sublime and profound"
Jan Jakoby, Berlinske Tidende, Denmark.